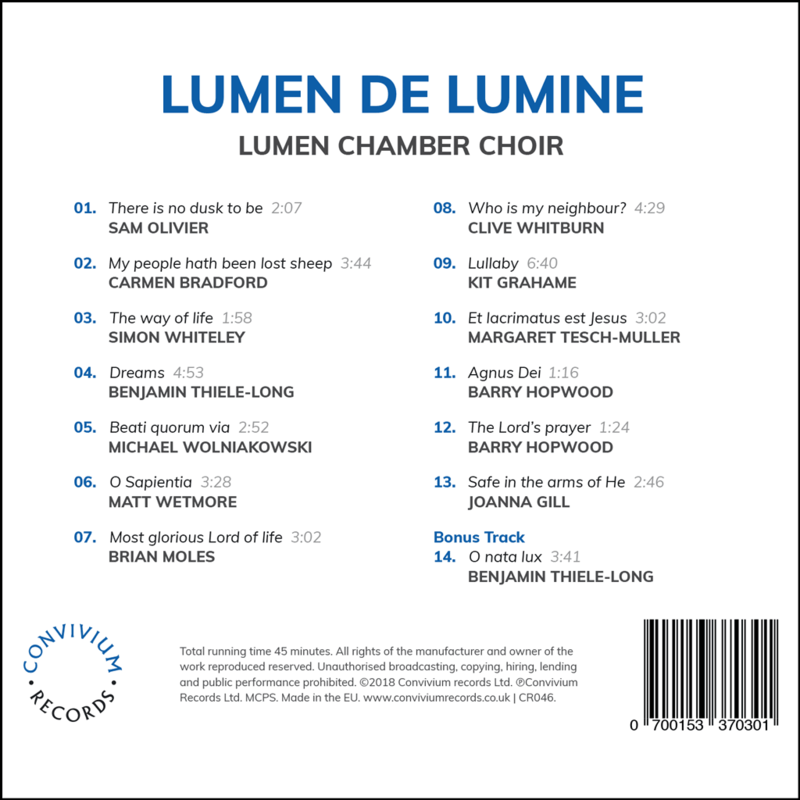 The Lumen de Lumine album is the first of its kind project to support and promote new and emerging composers across the world, providing them with an opportunity that wouldn’t otherwise be available; to have their work recorded, produced and released commercially. 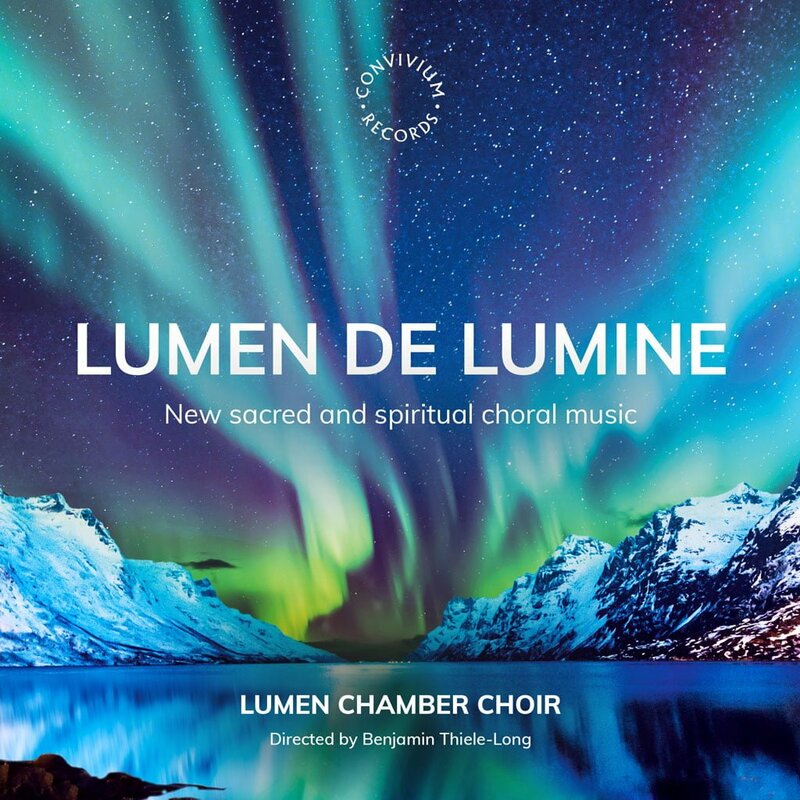 The album is performed by London-based chamber choir Lumen, and features 14 new sacred and spiritual choral works written by 12 composers, showcasing the breadth of talent in new choral writing, and lighting the way for the future of these composers and the future of choral music itself. The idea for this album came to me in the most surprising of circumstances. While standing on top of the Eyjafjallajökull volcano in Iceland I saw the Northern Lights for the very rst time. As I watched the most unbelievable array of colours move across the sky, I was both overwhelmed and inspired by their scale and brilliance. Choral music has been a passion of mine for many years and the experience of the Aurora reminded me of the overwhelming emotion I felt when I heard Howell’s Collegium Regale for the very rst time. The complex range of emotions and images that can be invoked by something as simple as the human voice has always fascinated me. But while familiar pieces will always retain their beauty, there is something magical about discovering new music. whole album themselves, we could provide a platform for their music be heard by a wider audience. The idea represented an enormous leap of faith and I have been lucky to direct a wonderfully talented choir who were willing to join the adventure, and to have the support of Adrian Green and Convivium Records; who believed that a project of this kind could succeed. I am incredibly proud of what the choir, the composers and the supporters have been able to achieve together. In Lumen de Lumine we have created an innovative new project, both lighting the way for the future of these composers and hopefully the future of choral music itself. 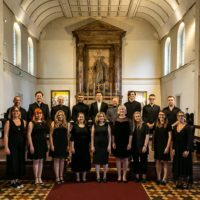 Founded by Benjamin Thiele-Long in 2016, Lumen is a small London based amateur chamber choir, built by those with an absolute passion for choral music and focused on delivering stunning modern and ancient choral polyphony. Rehearsing at St John on Bethnal Green, the choir performs a range of sacred and secular choral music at both services and concerts throughout the year and has received praise for its technically accomplished sound and engaging repertoire. 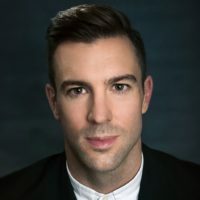 Benjamin Thiele-Long is a composer and choral director with over 15 year’s experience directing choirs and choral groups of all abilities. Formerly a choral scholar of Royal Holloway and Lay Clerk of Guildford Cathedral Benjamin has worked with professional and amateur choirs, including Carmina Judicibus and Lumen. He is also an experienced musical director, directing musicals and cabarets in London with various amateur dramatics and performing arts groups.